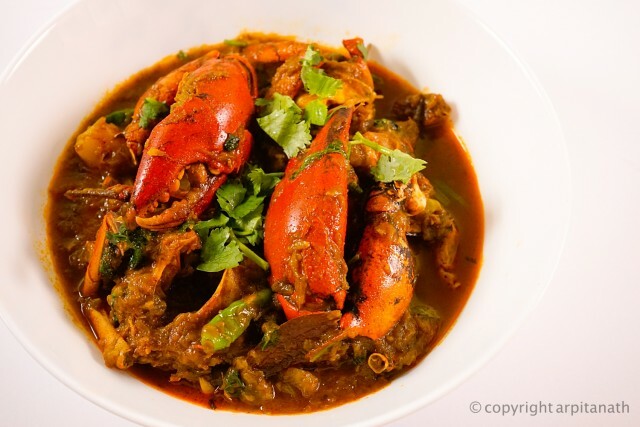 Crab Curry Indian Style is a delicious and exotic dish with the flavours of Indian spices. 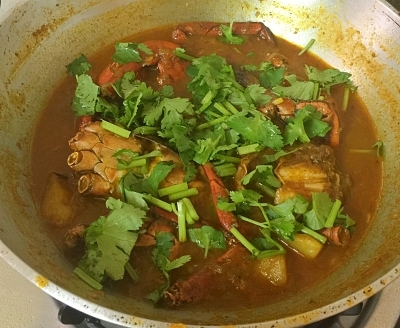 There are so many versions of making crab curry in India, and my version is the spicy one. In this recipe, crabs are cooked in onion and tomato based gravy with some aromatic spices. 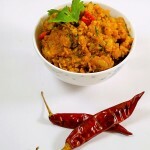 You can have this flavourful dish with steamed rice. 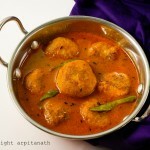 You can also search for lots of Non-Vegetarian, Chicken, Egg, Fish recipes. 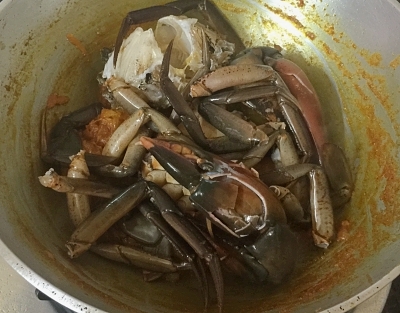 At first, clean your crab very well and lightly crack the crab claws. Only the body and claws are used. Keep it aside. Now heat oil in a pan. 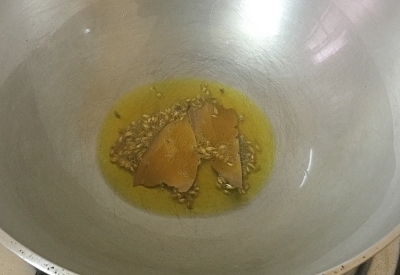 Add cumin seeds and bay leaf into oil and wait for them to splutter. 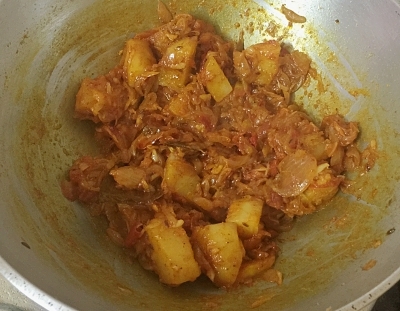 Then add potato cubes into the pan and fry them for 4-5 minutes om medium to high flame. 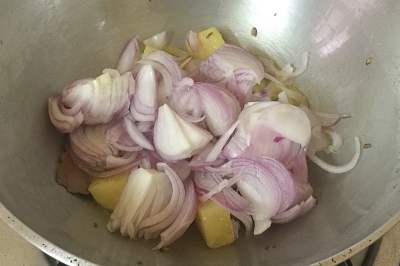 After that, add sliced onion and cook them for 5 minutes more on high flame. 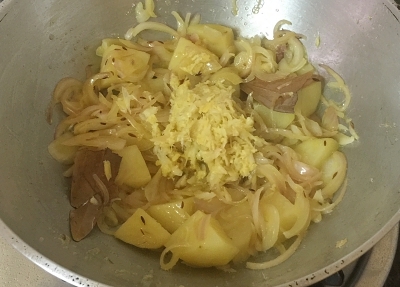 Add ginger garlic paste and cook until the raw smell of garlic has gone away. 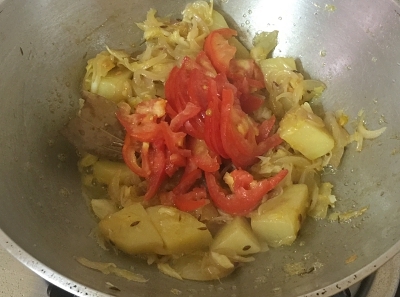 Now add chopped tomatoes into the pan, stir well and cover the pan for 4-5 minutes. 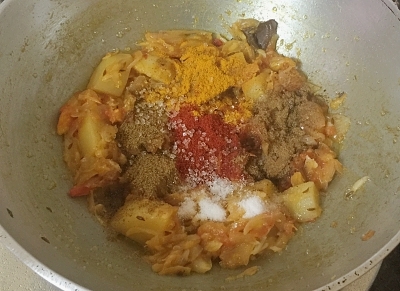 When the tomatoes are soften, add cumin powder, turmeric powder, red chilli powder, salt and garam masala powder. Mix it well. 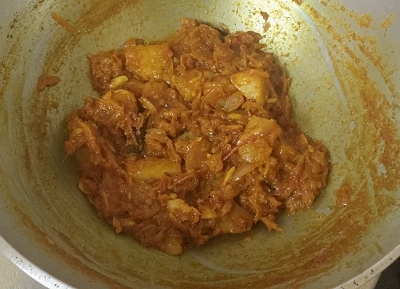 Add 2 tbsp of water, give it a stir and cover the pan. 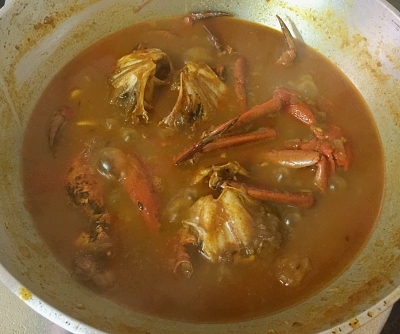 Cook until all the spices are fried and braised well. 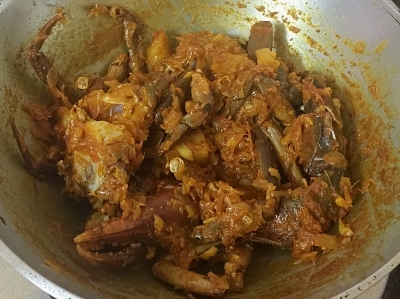 When the gravy masala is done, add the crab pieces into the pan and mix well with the gravy. Fry for 5 minutes on medium heat. 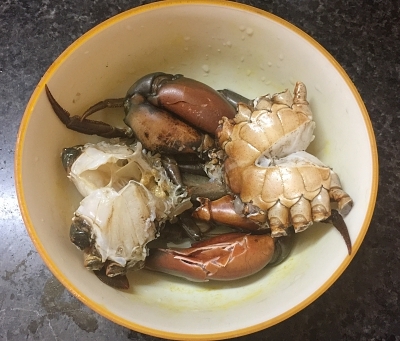 Then add 2 cups of water (if you want thick gravy, you can reduce the amount of water, and if you want watery gravy, you can add some more) and sir well. 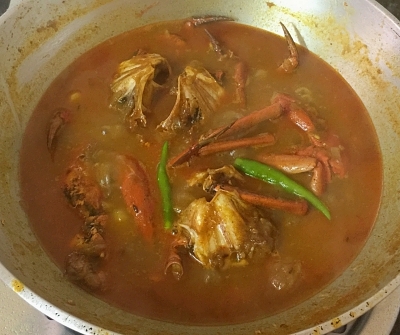 Add whole green chilli and cover the pan and cook for 15 minutes. 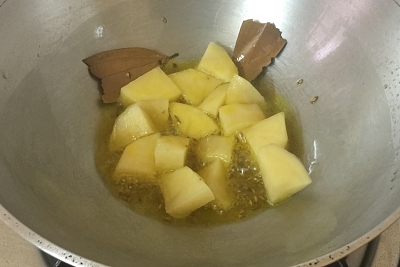 Stir occasionally while cooking. After 15 minutes, open the lid, add sugar and cook for another 5-8 minutes on medium heat. 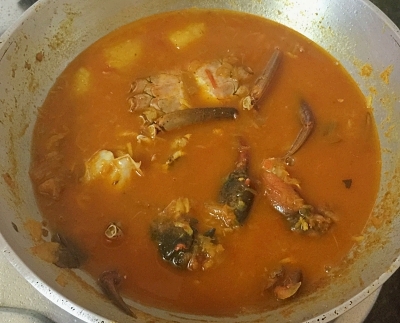 Lastly sprinkle some coriander leaves, stir well and switch off the flame. 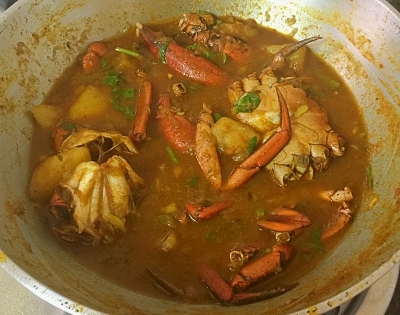 You can follow videos on YouTube for How to clean Crab.